Looking for the perfect gift for the new mom? 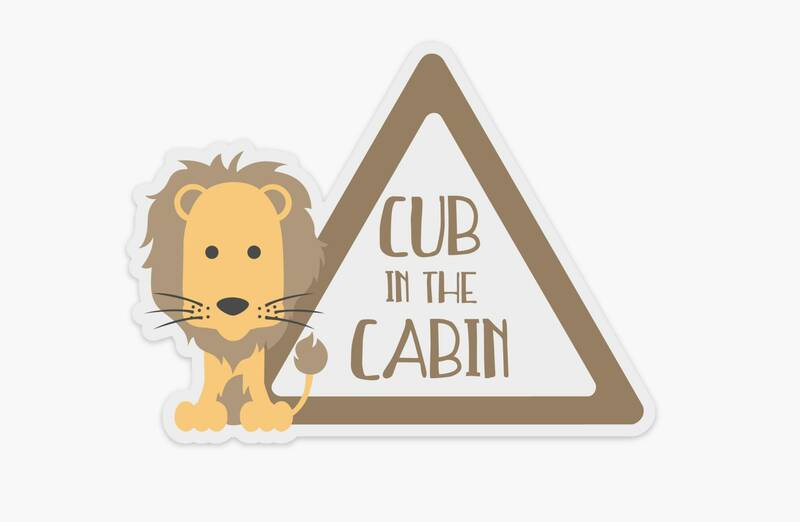 This Baby On Board "Cub in the Cabin" animal sticker is perfect for the stylish mom who doesn't want to go with the traditional yield sign. The sticker is a thick vinyl decal that is durable through weather and sticks to the outside of your car. It's translucent for better visibility of the text and measures 5" x 6". So cute!! Glad I bought it!